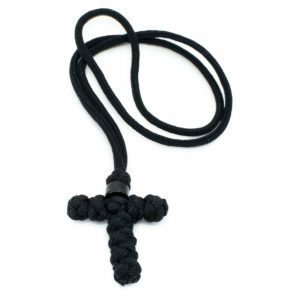 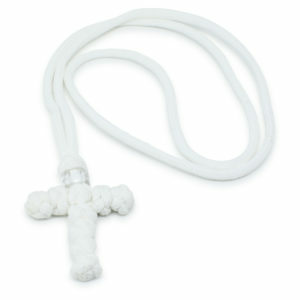 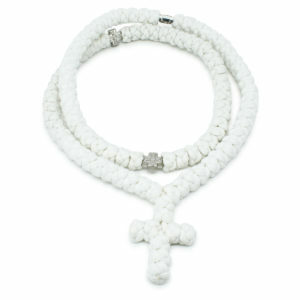 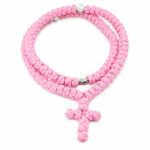 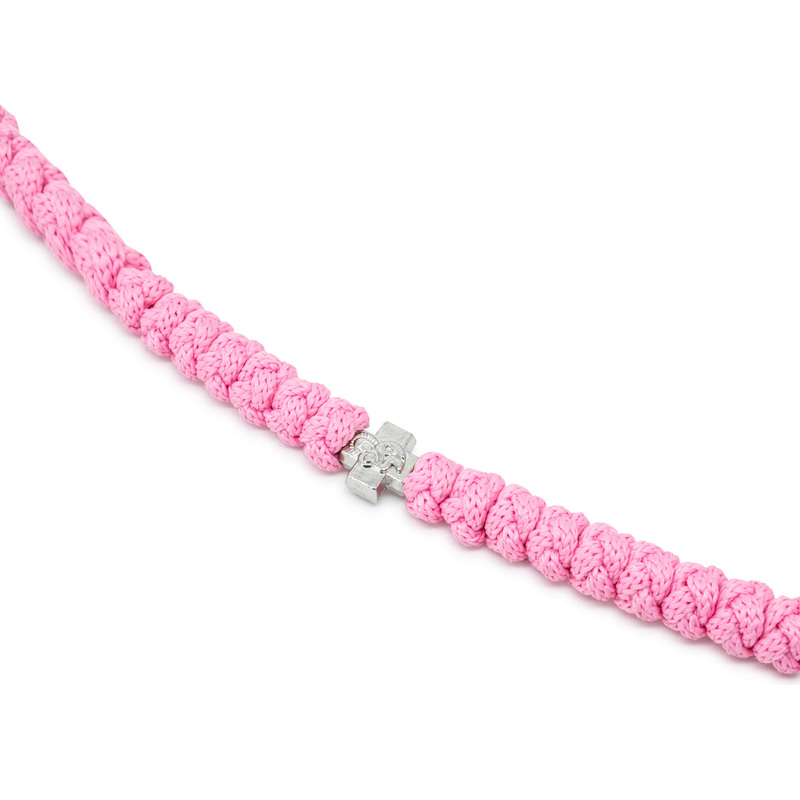 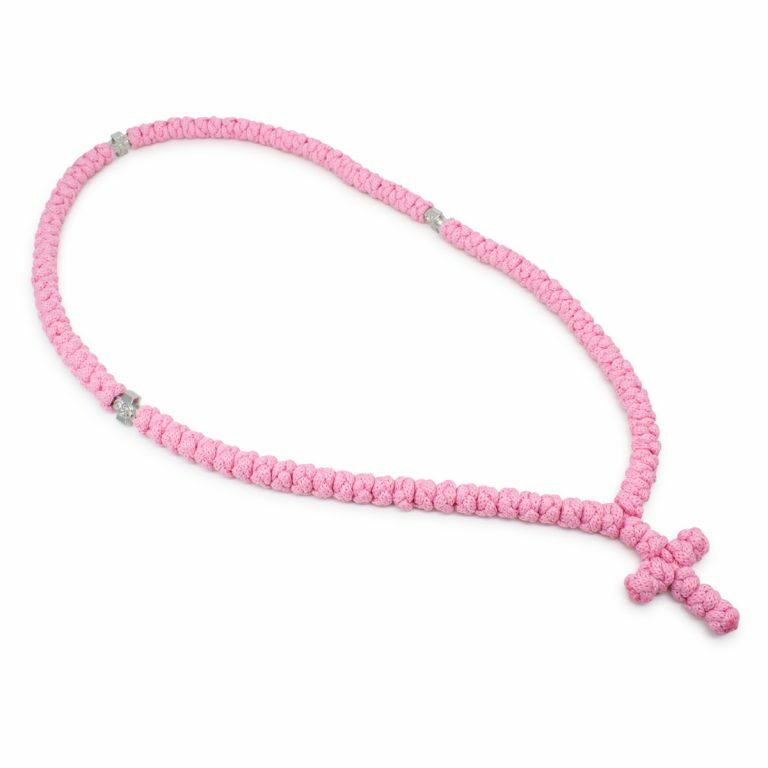 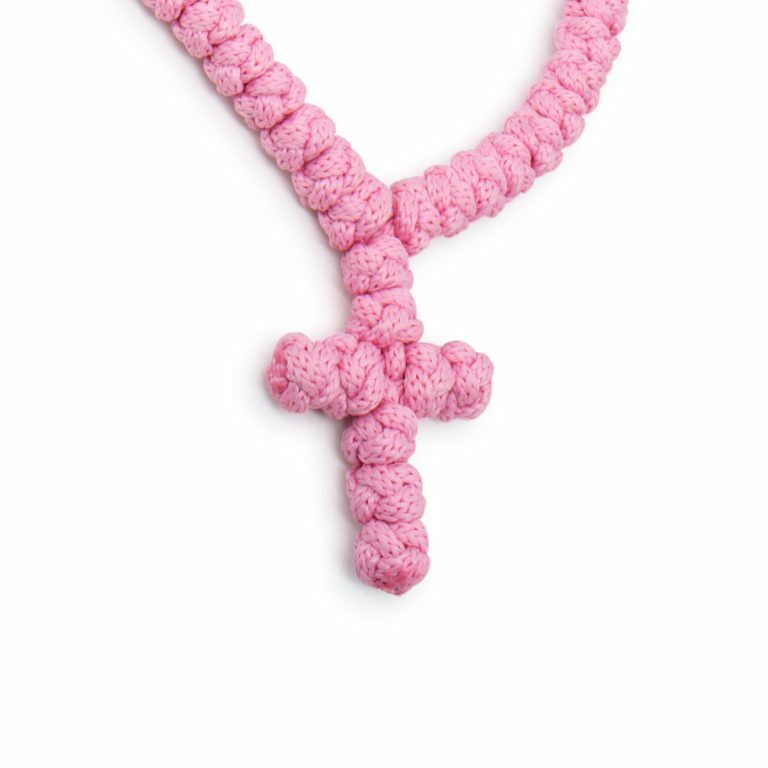 Traditionaly hand-knotted rose prayer rope necklace with metal cross divider beads. 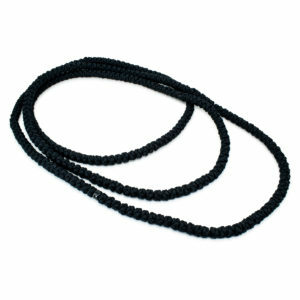 This necklace has 100 knots. 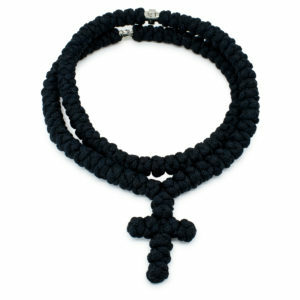 Super Long Black Prayer Rope Necklace – 300!